Microsoft introduced four features called Mandatory Fields, Auto-fill No. field, Totals on Documents, and UI Elements Removal, all of which provide a simplified User Experience. Customer Page with five fields marked as mandatory. Red asterisk mark which fields are mandatory. On sales orders, which have multiple number series, the No. field is shown. On sales invoices, which only have one number series and Manual Nos. = False, the No. field is hidden. The Invoice number is still shown both in the window caption (top) and in the page caption so the user can still see the No. Sales and purchase documents now have totals displayed at the bottom of the lines section. 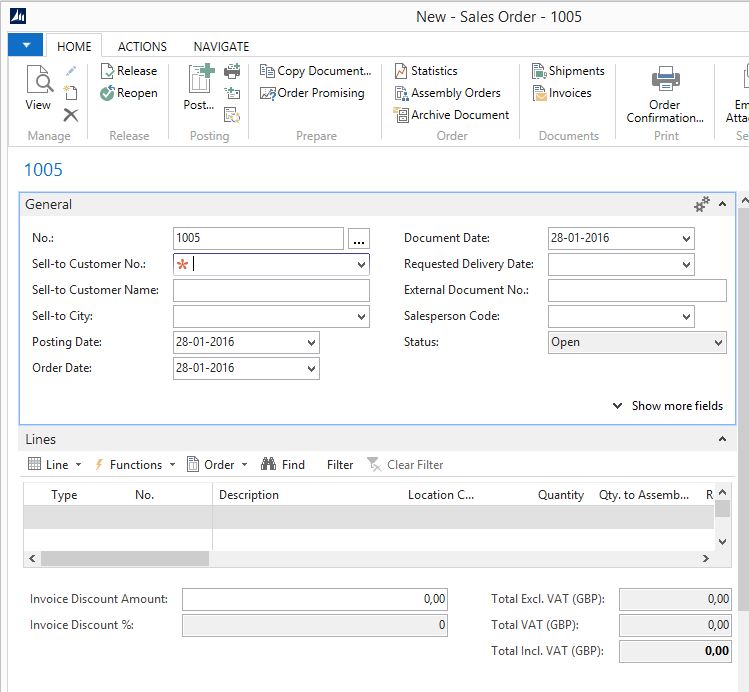 Example with a sales order processor with a very restricted permission set before and after the system removes UI elements not in the user’s permissions.